Imagine having your your battery charger printed on your clothes or on the screen of your cellphone… this is what Organic Nanostructured Photovoltaics group, at ICFO is proposing. The use of organic electronics allows the production of flexible cells which happen to be highly inefficient. By layering nanoparticles in a clever way, they’ve been able to increase the performance of these devices, thus solving the problem. 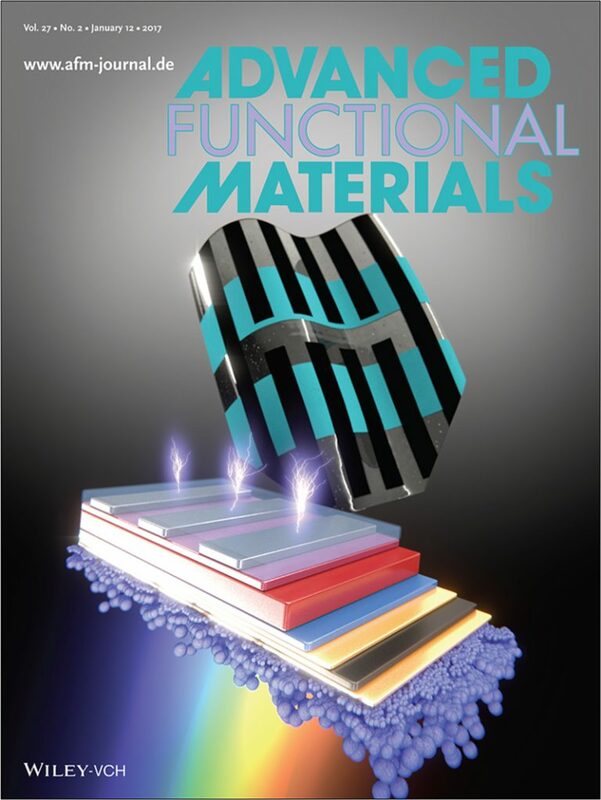 With the help of Dr. Silvia Colodrero, we created this picture which made it to the cover of Advanced Functional Materials. Posted in Cover, Picture and tagged ICFO.